We stock some of the most popular brands of Tools available. These include, Belle, Makita, DeWalt, Metabo & Clarke. Some of our powertool offers are exclusives, so, before you try anybody else, come & see what we have to offer, you may find a better deal at P.E.T. than anywhere else. It’s no use selling these products without offering a full backup service. So at P.E.T. Hire, we offer just that. Our purpose built repair departments carry a vast range of spare parts & our fully trained staff will endeavour to repair your machine as quickly as possible – sometimes – while you wait! (subject to spares availability). Having your machine break at the most inopportune moment can be a nightmare, so at P.E.T. we offer a fast, professional repair service to most leading makes of Power Tool including; DeWalt, Makita, Metabo, Milwaukee , Bosch & many more. We have over 40 years experience of repairing tools & offer a speedy service with no charge for estimates. We can also arrange to have your machine collected by a courier from your workplace, or home at a small extra charge. 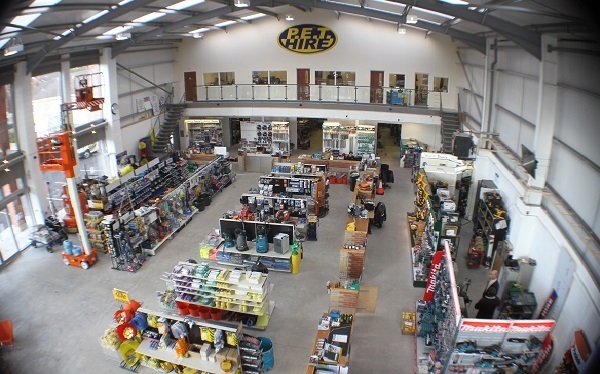 Call into our new showroom & see the vast range of items we have to offer, anything from a single fuse to a scissor lift.